Felt carrots harvested in school yard garden - delicious! 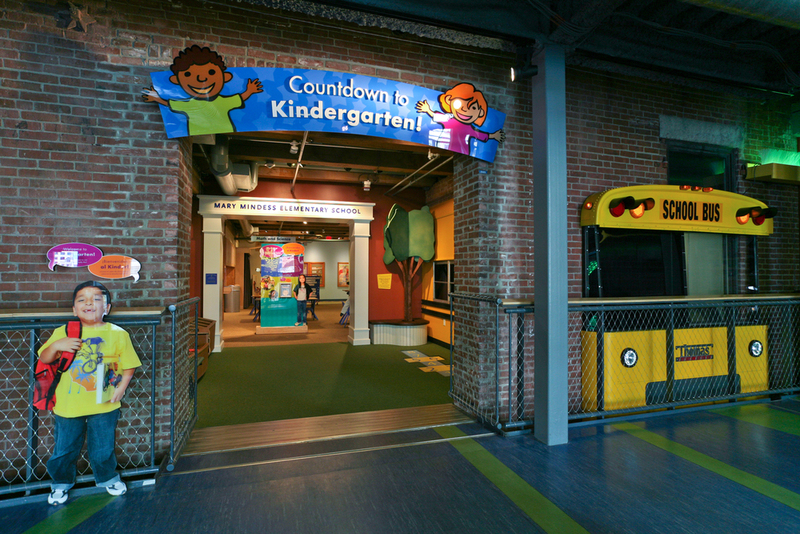 In support of the school readiness program called “Countdown to Kindergarten,” the Boston Children’s Museum assists families with preparation for the challenges of transitioning pre-school children to kindergarten. The concept for the exhibit is to introduce children to the experience of a typical school day, with exposure to activities in settings that are similar to what they can expect in their imminent, actual school. In the design of the exhibit space, D. W. Arthur Associates developed a “processional” experience, giving interactive attributes to iconic elements of the school environment. The intent of D. W. Arthur Associates’ exhibit design is to augment city-wide programs that encourage readiness for the significant transition to elementary school from preschool age. The exhibit is a model environment that represents best practices for early education, while also highlighting the universality of the kindergarten experience. The exhibit space also includes resources and opportunities for museum staff “teachers” to answer parents’ questions. 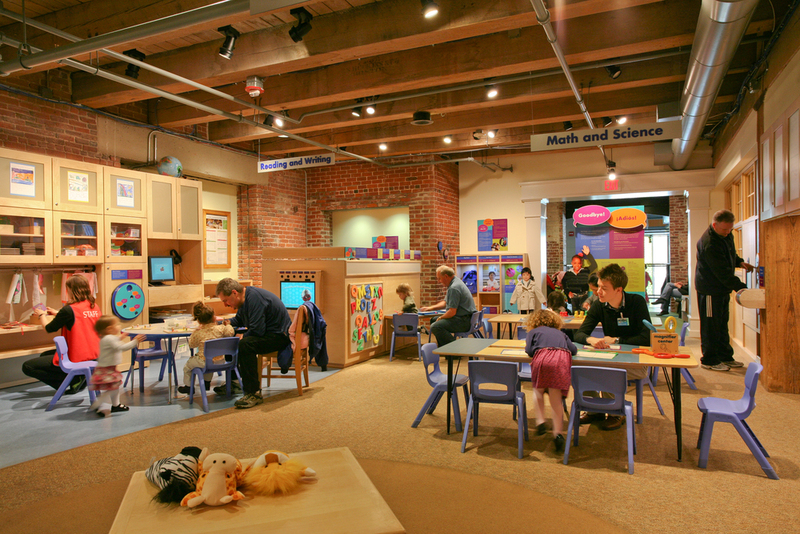 D. W. Arthur Associates worked with the in-house exhibit team at the Boston Children’s Museum to develop the curriculum, interactive exhibits, and activity areas within a warm, inviting and representational learning space. In support of one key intention for the exhibit, various elements meant to simulate the significant transitions fundamental to a child’s daily life when in school were incorporated. The front section of a recycled school bus was inserted through the brick wall at the entrance, serving both as an beacon for the exhibit within the museum, and as a realistic bus that can actually be occupied by kids. The steering wheel moves, the driver’s seat rumbles, and the windows display video clips of actual bus routes in Boston. A small interstitial space is treated in such a way as to represent both the entrance approach to a school and a playground. A window seat, as part of the library, projects into this simulated outdoors. Various activity areas surround a central space that comprises the classroom proper; all spaces are integrated to present a comprehensive exposure to the variety and richness of a school experience. Ultimately, visiting families are provided a thorough introduction to the school environment, lessening the apprehension that arises for most every child and parent on that first day of school.